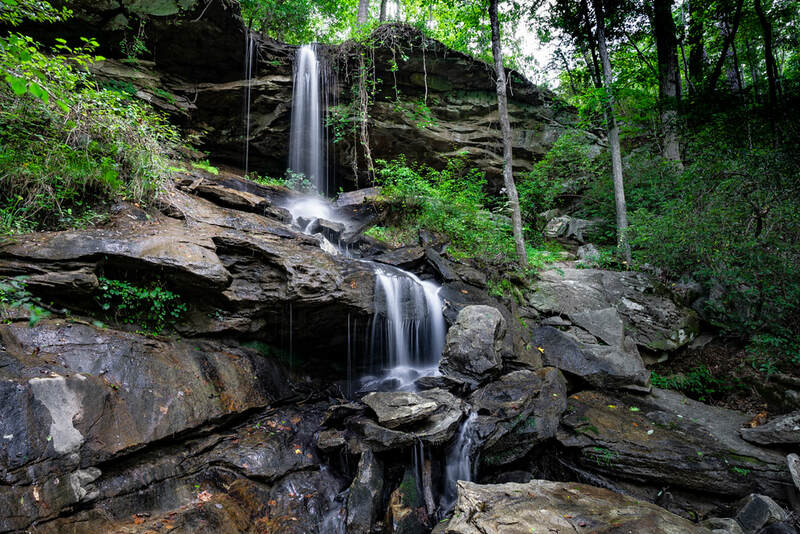 Waterfall Info: This scenic, low-flow waterfall is on an unnamed tributary of the North Fork of the Broad River. Best seen in wet weather. Access Info: The shortest and easiest way to access this falls is to walk past the gate at the end of Bend N Hickory Road, and to take a goat path that accesses the falls from near its top. The gated road is marked as FS 316. An alternative way to approach Contentment Falls is to follow a trail from the Toccoa Falls College Nature Center. The trail climbs up the Dead Man Branch valley before crossing into the North Fork Broad River watershed. It's about 5 miles roundtrip.